Ahhhh the dregs of summer…last days on the beach, swim in the lake, or crowded around a campfire. We happen to live in a country where it perennially exceeds or hovers around 30°Celsius (that’s high 80’s for those who speak fahrenheit), so summer is really always. I am finding that my colour du jour is the one that’s always there: grey. 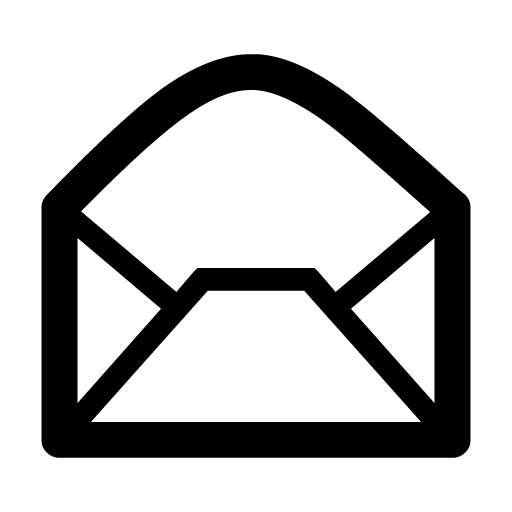 It’s often relegated it to bad erotica, jersey, and sweatpants, or minimalist apartments in Berlin or the Meat Packing District. Since seeing it matched with coral and highlighter-yellow earlier this summer, I haven’t been able to get it off of my toes. 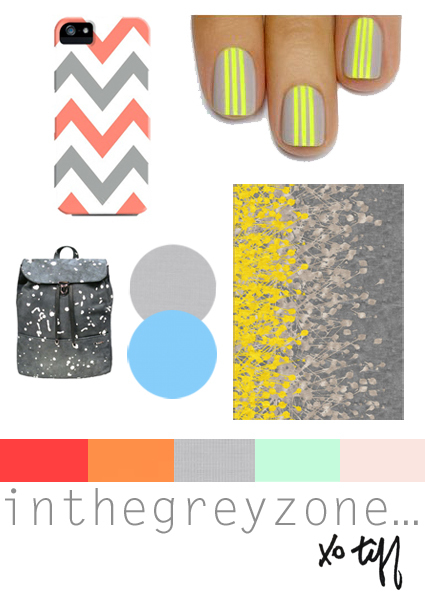 In celebration of a dying or perennial summer, here are some favourite pairings with grey. 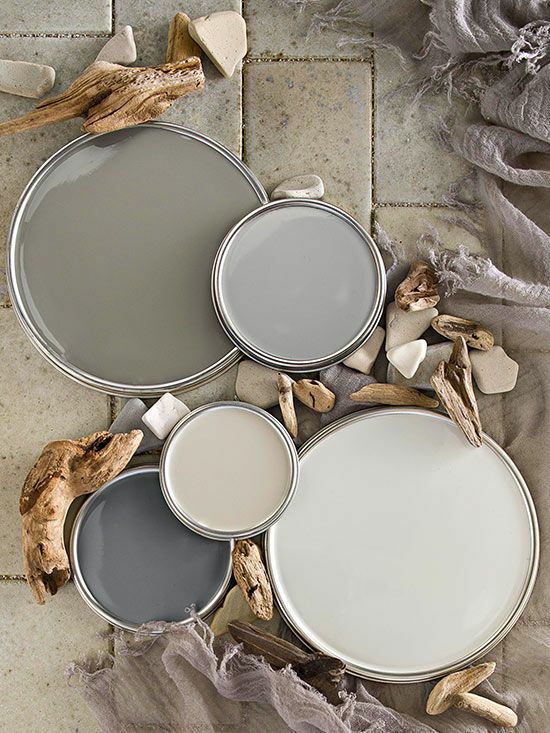 A medley of greys via Better Homes and Gardens. 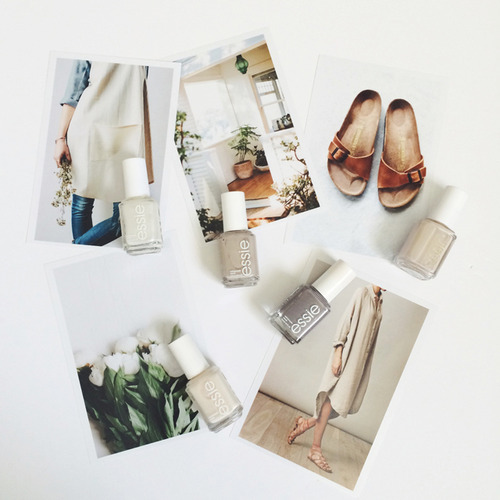 Pairings with other neutrals via Crystalin Marie. 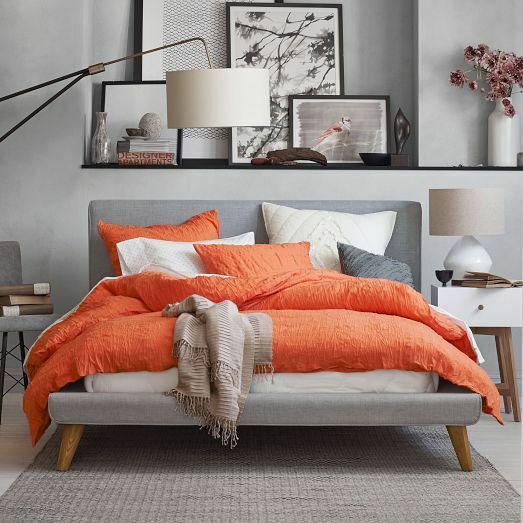 Coral splashed via West Elm. Categories: colour riot | Tags: grey | Permalink.